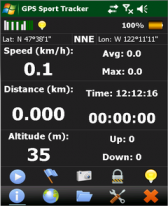 sport freeware downloads for Windows Mobile Phone. 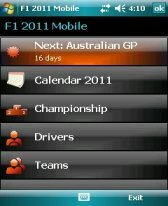 Summary: Formula 1 2013 information straight on your Windows Mobile Pocket PC or SmartPhone in fifteen different languages. 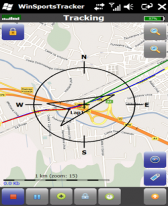 Race results can be filled in manually or by using the build-in update function. Summary: Formula 1 2012 information straight on your Windows Mobile Pocket PC or SmartPhone in fifteen different languages. Race results can be filled in manually or by using the build-in update function. 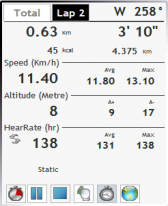 Summary: Sports software of management of training working on PDA equipped with a GPS, specially conceived for the running, the bike, the walking(march), etc.... Gesrun measures speed and distance in all the sports in outside. Summary: Formula 1 2011 information straight on your Windows Mobile Pocket PC or SmartPhone in fifteen different languages. Race results can be filled in manually or by using the build-in update function. Summary: LeTour 2011 gives you a complete overview of all stages of the Tour de France 2011 running from July 2nd to July 24th. 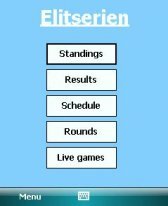 For all stages it shows the profile with heights and mountain categories. 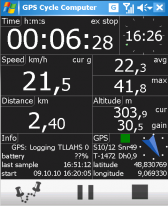 Summary: The software provides realtime statistic like current speed, altitude, distance, etc. and data for post analysis using PC. Summary: Get Cricket scores from ESPN Cricket feed .